In the world of supercars, your guts can tell you pretty accurately if the people behind the project can make it or not. Vector Motors is the latter. 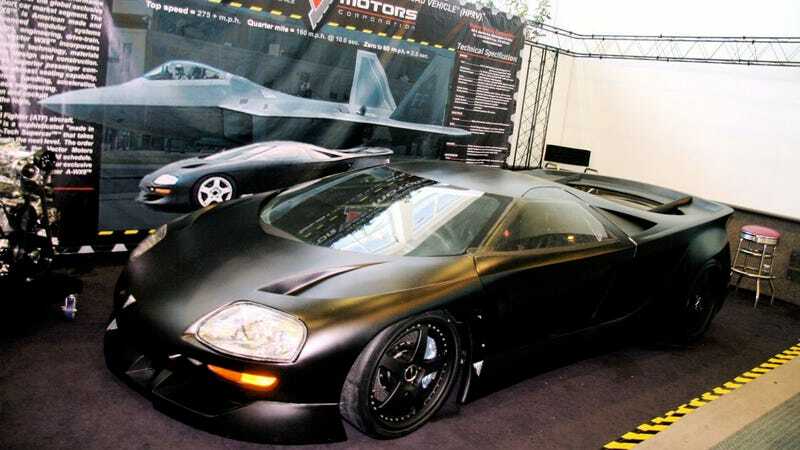 What you see here is the Vector WX-8 prototype displayed at the Los Angeles Auto Show in 2007. Gerald A. Wiegert promised 1800+ horses from a 610 cdi twin-turbocharged big block and a top speed of 300 mph. While that's just silly, in other cases, it's the financial situation or experimental technologies that doom a supercar's fate somewhere along the way. Which car is your never happened dream machine?